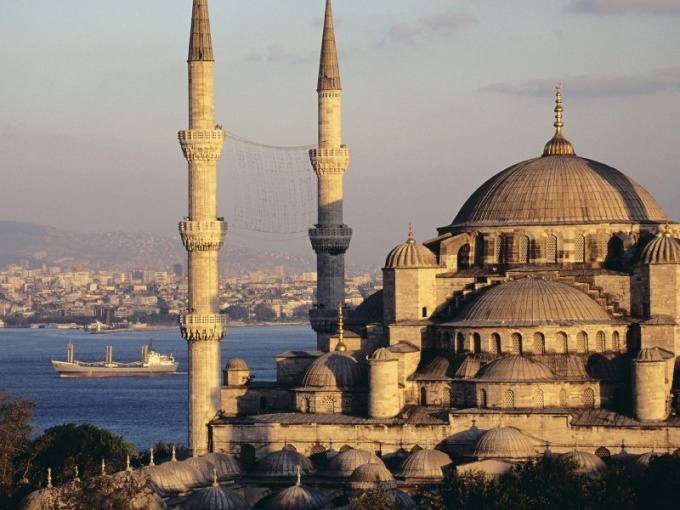 Istanbul is one of the oldest Turkish cities. There are mixed age. This city was the capital of four empires - Roman, Byzantine, Ottoman and Latin. He's incredibly attractive to tourists, as the number of sites it is very large. To get from Moscow to Istanbul very convenient. Of the three international airports - Vnukovo, Domodedovo and Sheremetyevo - fly there planes. Done several flights a day. The journey time is about 3.5 hours. To go to Istanbul, do not need a visa. Quite a valid passport. The validity period should be not less than three months from the date of completion of the trip. Drive to Istanbul you can on the car, but the path is quite long. It will have to cross the border Russia - Ukraine that the holiday season can take a long time. But if you decide to travel by car, travel from Moscow to Kaluga highway on the road M2 in the direction of Kaluga. You will pass it, and then Bryansk. The border with Ukraine after the settlement of Sevsk. Then, keep the item via Nizhyn to Kiev. Then - through Uman to Odessa. In Odessa you need sea port. From there a ferry to Istanbul. Travel time - about twenty hours plus time on the ferry where you will cross the Black sea. Of course, this way is not as fast as by plane. But along the way you can see the sights and ancient Russian and Ukrainian cities. It is also interesting to sail along the Bosphorus - the narrow Strait that connects the Black and Marmara seas. There is another land route by which to get to Istanbul. You need to purchase a ticket for a train Moscow - Sofia. He departs from the Kiev station. Reaching the Bulgarian capital, where on the station you Board the train Sofia - Istanbul. Go to Ankara and buses from Bulgaria. The bus station (in Bulgarian - "bus-station") is located next to the train. Journey time by bus is about the same with a train of about twelve hours. If you want to go to Istanbul via Sofia, have to get a Bulgarian visa. It is needed only if you have a valid Schengen.